Truly, I began this project with just five minutes a day, because that was all the time I could spare, until my time off around Thanksgiving. I finished the lining and handsewing Saturday morning and wore it Saturday afternoon to run errands. 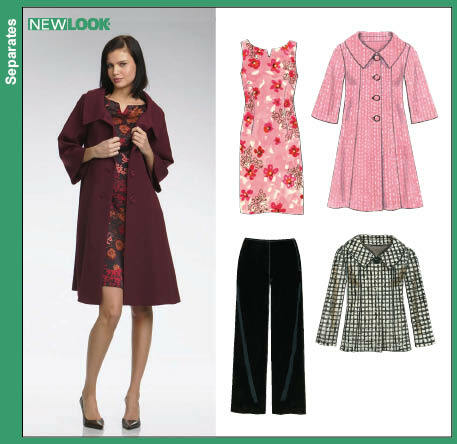 I've had New Look 6736 for quite some time, in fact, I believe it is now OOP. I love the long version of the jacket and hoped to try out the sizing with a "wearable muslin" on the shorter jacket, with the intention of making a longer silk version as an evening coat. Fabric: a multi-color quilter's cotton, that is a bit busy for most clothes I would wear, but for weekends or running around town it makes a really nice little throw-on jacket. Shades of indigo, beige, lots of black. 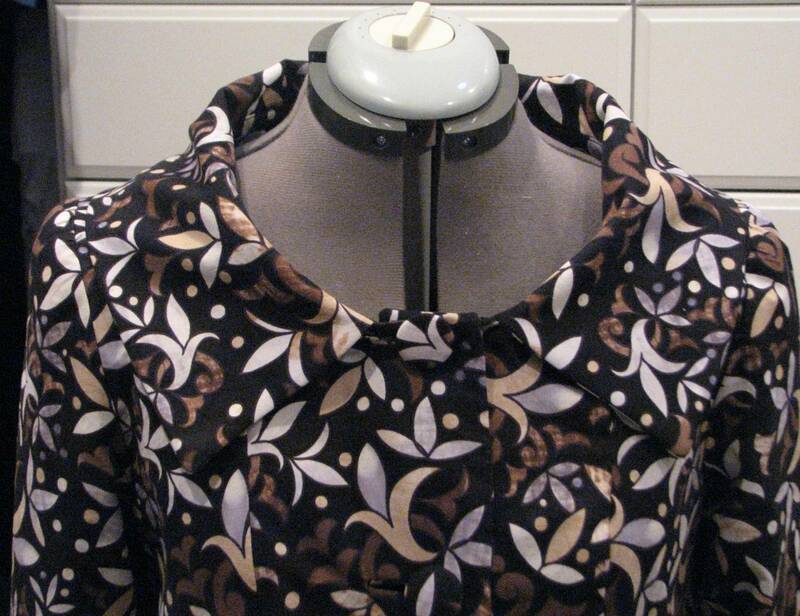 Lining: I added cling-free lining (pattern is unlined), but with cotton, lining is a must. 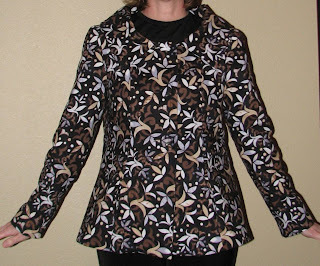 Interfacing: Shout-out to Pam Erny's LOVELY interfacing...after my last experience with Pellon, I immediately ordered several types from Pam's shop and am so pleased with them: very professional look and feel, and quite easy to work with. I will definitely replenish my interfacing stash from her shop! Changes: I may nip in the waist a little bit -- it seems a bit baggy in the picture, but it is so comfortable to wear! The princess seams would make it a fairly easy alteration. Also, the sleeves seem long in the photo -- I didn't notice that when I wore it, though. Maybe I spend my time with my elbows bent. Wide Collar: I like the look and feel of the wide collar -- but would wear a scarf if it's chilly outside. With our unseasonably warm 60/70F days I haven't needed one. Not sure why it looks so wrinkled in the shot below -- maybe it's just the mannequin. It is fine when I'm wearing it. No other pictures worth showing...the pattern is so busy, it's tough to see any details! So adorable and I love the print. I especially like the collar and I'm sorry the pattern is OOP.